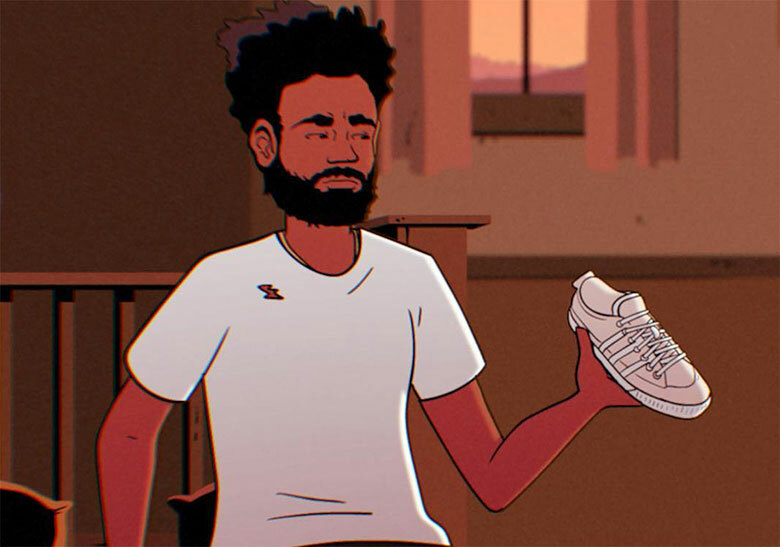 Since joining the lofty ranks of adidas, word on Childish Gambino’s first collaborative release has been relatively quiet — that is, however, until now. 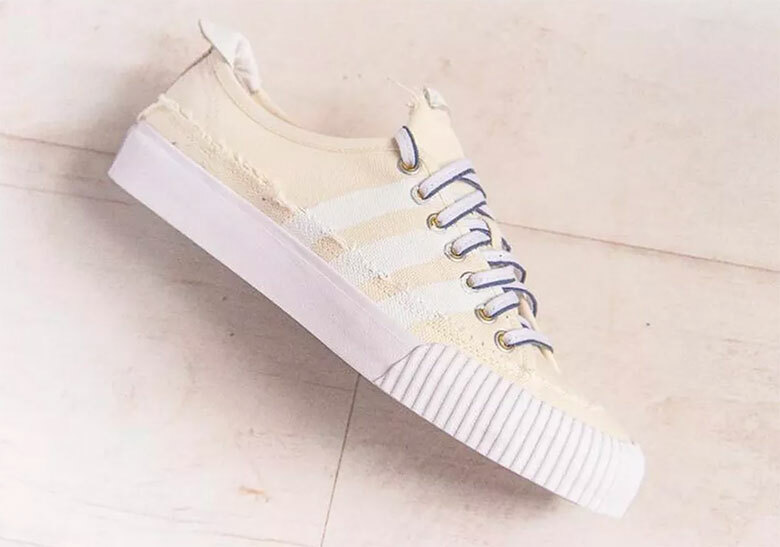 Teased subtly in the animated short film announcing the creative’s entrance as a brand partner, the upcoming modified Nizza foregoes its traditional lifestyle aesthetics for one as deconstructive and poised in nature as the multi-hyphenate’s many recent works. 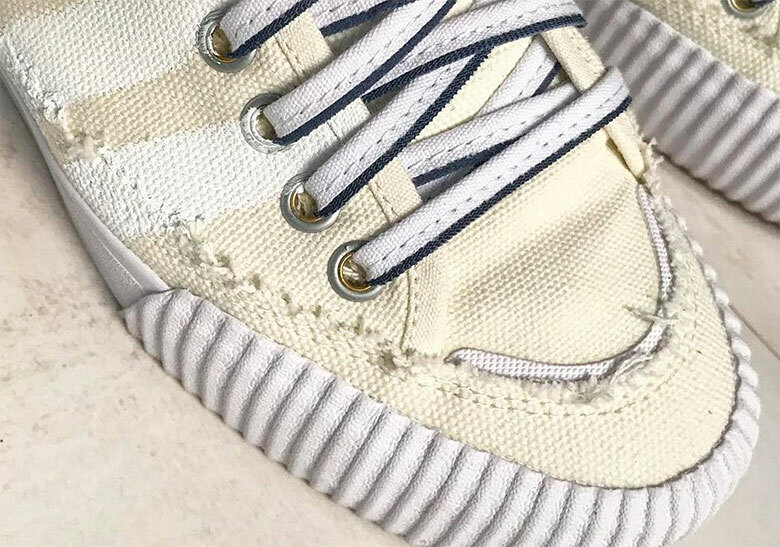 Uppers, though once a clean canvas construction, add in a cut up lower paneling with frayed hems ornamenting the surroundings of the model in an execution that creates acting mudguards and cap toes. Laces pop in comic-like fashion through their boldly outlined design with white logos and intricate sole units contrasting against the backdrop of off-white hues. 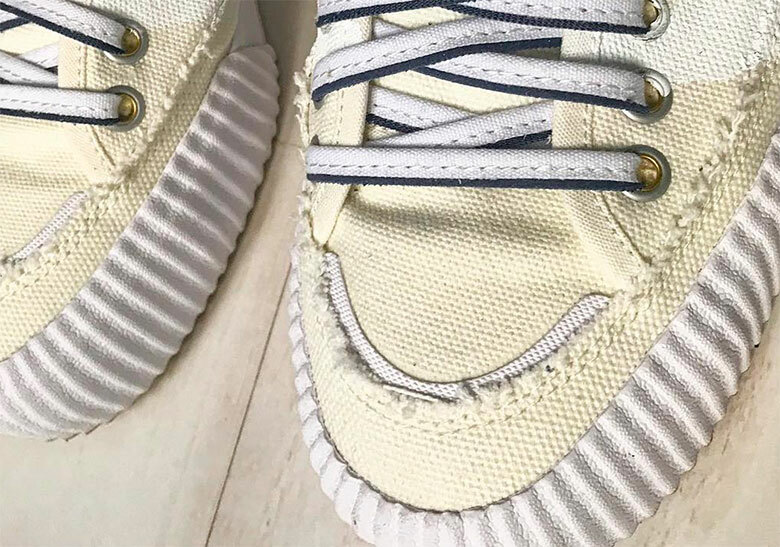 Grab a detailed look at this forthcoming pair below and expect more word to arise on its release very soon.